news Queensland-headquartered software company TechnologyOne has inked a landmark $15 million deal with the Catholic Education Commission of Victoria (CECV) which will see it deliver enterprise software to 486 schools across the state. According to a statement issued by TechnologyOne today, the deal will see the vendor work with another vendor, Synergetic, to create a new integrated school administration package called eAdmin for the Integrated Catholic Online Network (ICON). TechnologyOne will provide enterprise systems such as finance, payroll, human resource management, supply chain, budgeting and business intelligence, to enable the CECV and its schools to create budgets and forecasts, and allow authorised staff to produce customised reports. Synergetic makes management software for schools and other educational institutions. 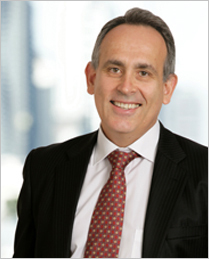 TechnologyOne executive chairman Adrian Di Marco (pictured) said that more than half of Australia’s universities and TAFEs now relied on TechnologyOne’s integrated enterprise solution. CECV executive director Stephen Elde, said the commission initially went to market for a single software provider, but decided a partnership between TechnologyOne and Synergetic offered the most effective solution. “Choosing to go with both TechnologyOne and Synergetic means we can have the best of both worlds in terms of financial management and school systems,” Elder said. “The CECV supports more than 200,000 students and 18,000 staff. To capture the large amount of data and build a comprehensive picture of the system, we needed far more control over the software system”. “Using the TechnologyOne modules will improve data management, budgeting and planning, allowing staff to undertake better reporting in line with government requirements and funding regulations. The integrated solution will also enhance student learning, help develop more efficient school administration processes and support staff across Victoria Catholic schools to provide the best possible learning environment for our students,” he concluded. News of the deal comes as TechnologyOne has recently been making headway in Australia’s enterprise software market. In a media release issued in November, TechnologyOne noted that nine of Victoria’s TAFEs had successfully rolled out the vendor’s Student Management System, as part of the Victorian Government’s project to support its TAFEs’ transition to new contestable training markets. And in November 2011 the company revealed it had landed five major local deals in the last quarter for its customer relationship management (CRM) software. The vendor’s solutionwasis set to replace a rival Microsoft platform at one of these sites. In November as the TAFE deal was announced, Di Marco claimed that using major third-party systems integrators such as IBM and Accenture on major technology projects could add to the risk of “implementation disasters” such as the billion-dollar catastrophe with Queensland Health’s payroll systems overhaul. Another nice win here for TechnologyOne. I will note that I haven’t heard much from rivals such as SAP, Oracle, Microsoft or Salesforce.com about Australian deployments recently … although NetSuite, for one, has been on a bit of a tear. This is a web based application that enables teachers to take anecdotal notes, share them, and use them for report writing. It’s ongoing reporting for teachers, by teachers. It’ll eventually allow parents to login and view notes about their children. This is where education is heading! There’s a lot more to running a school than just a kid’s education. There’s financials, enrolments, HR etc. TechnologyOne’s software suite is massive and is really high quality. They’ve been kicking goals for a long time. Nice work T1. I was wondering when this was going to be reported here, although I’d only heard about the Synergetic side. Interestingly Synergetic has its own finance, payroll, human resource management, and budgeting modules. Sonia: There’s quite a few apps similar, eg DesignWyse (App4) and Datacom (MySchoolDay). There’s also SEQTA’s teacher’s assistant which is more of a classroom tool but is also a frontend for various aspects of Synergetic, Maze and other school admin systems.